Grilling fruit is a great way to make it more interesting. Plums are an excellent source of the antioxidants anthocyanins, which are commonly found in red and purple fruits and vegetables, and vitamin C.
Cut the plums in half by cutting along the seam to the pit, then show your child how to twist each half in opposite directions to separate them. Remove the pits. Help him to lightly brush the plums with olive oil, using his fingers, and set them aside. Spray the grill with cooking spray and heat it to medium-high. When it is hot, add the plums to the grill and cook for about 5 minutes. Flip the plums and cook on the other side for another 5 minutes. 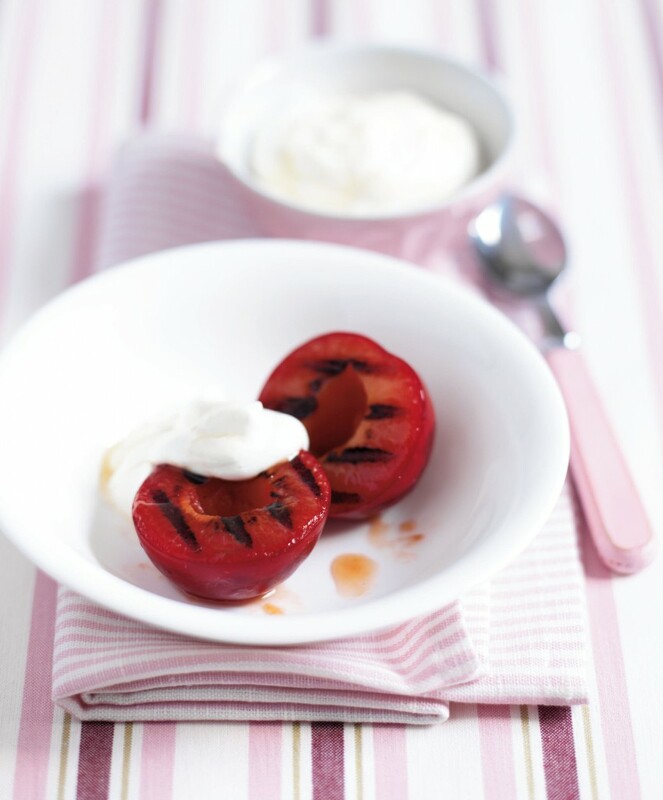 While the plums are grilling, ask your child to add the yogurt and honey to a bowl and mix them together using a fork until they are well combined.